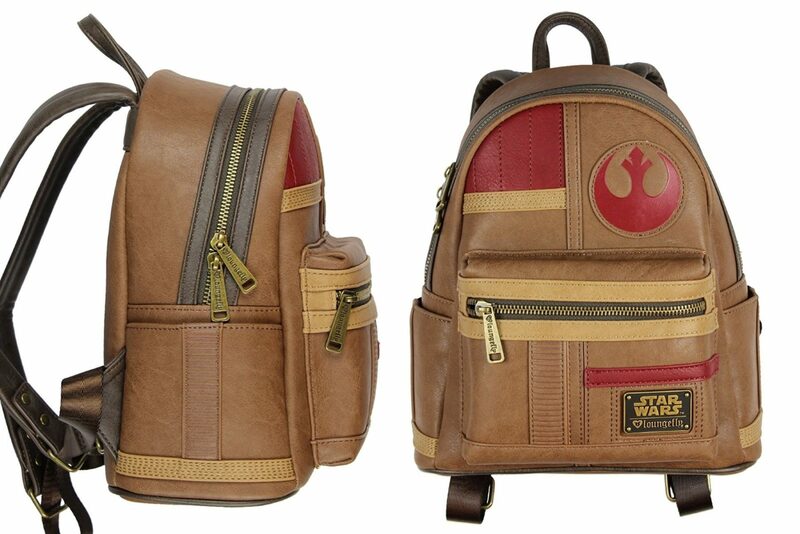 This cool Loungefly x Star Wars Finn mini backpack and matching wallet are now available at Amazon. Inspired by Finn’s jacket from The Last Jedi, the mini backpack is made from brown, beige, and red faux leather, with applique’ and embossed details. 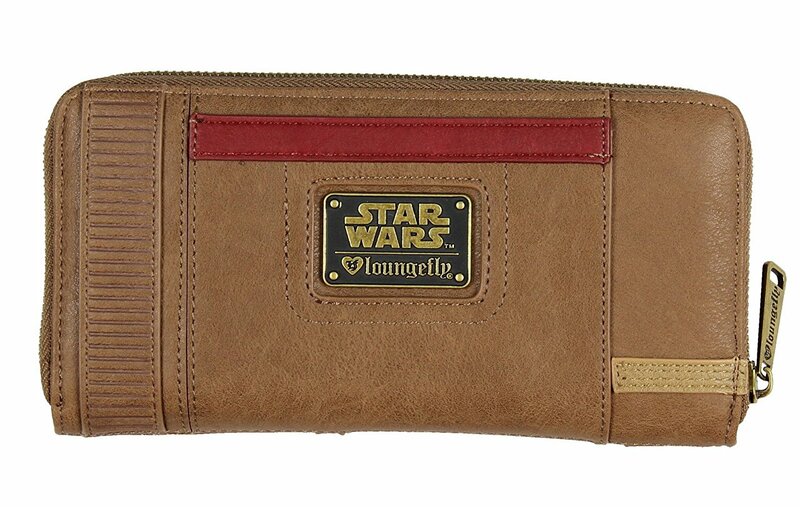 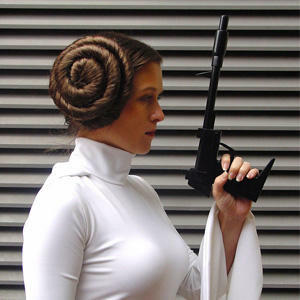 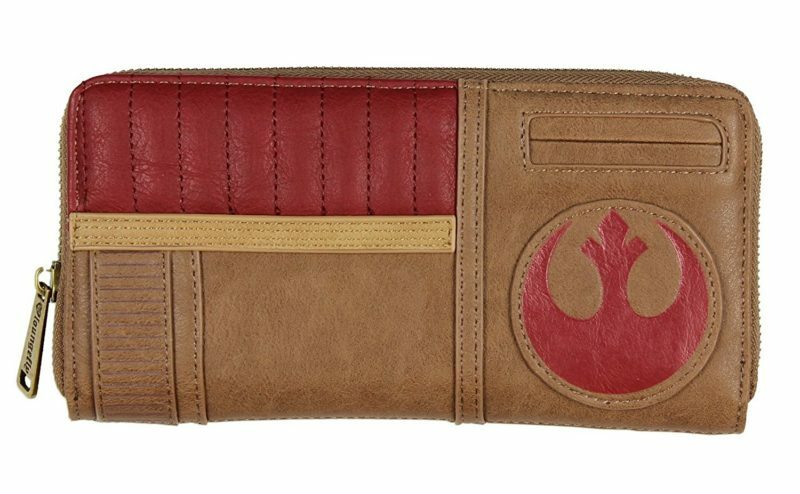 The matching zip-up wallet is also made from brown faux leather, with the Resistance logo on the front and a Loungefly x Star Wars metal plaque on the back. 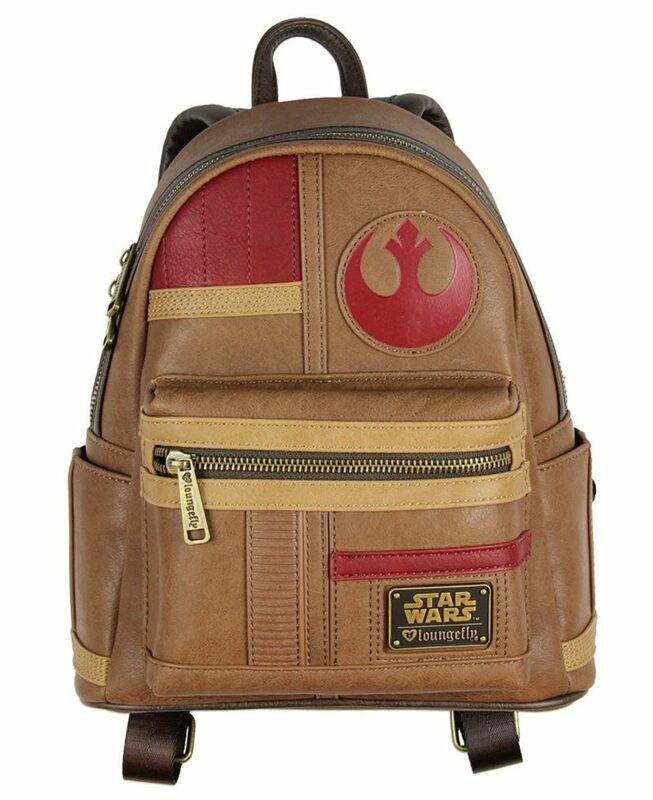 This officially licensed Star Wars: The Last Jedi Rebel Finn mini backpack features a brown and red design after Finn’s Jacket, with a Rebel patch and is made of vegan friendly faux leather. 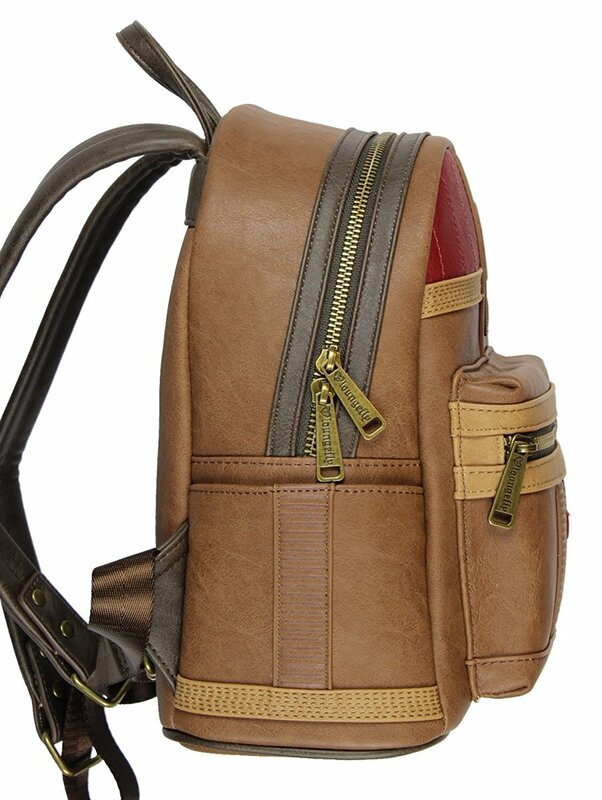 Features 2 side pockets, 1 outer zipper pocket and 1 main zipper compartment. 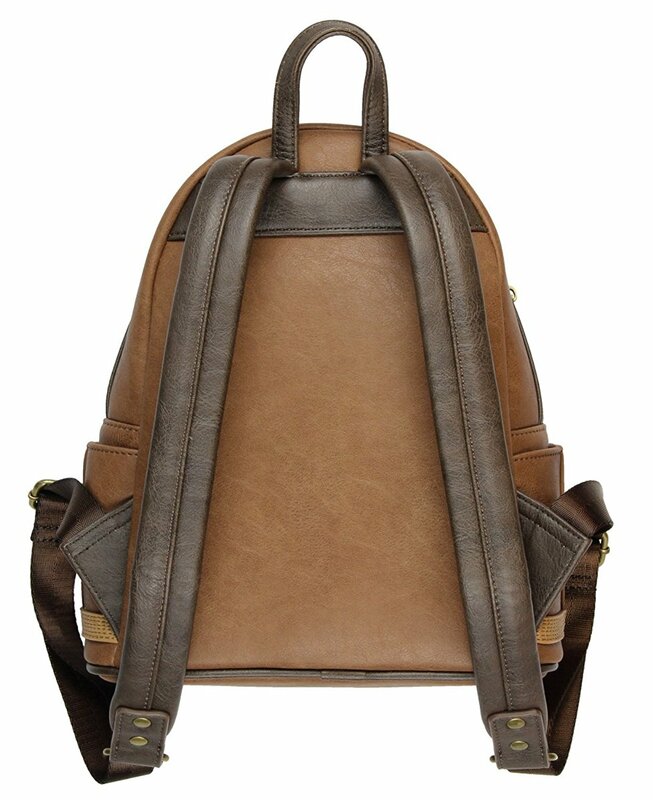 The mini backpack is priced at US$64.00 each, while the matching wallet is priced at US$36.00 each – both are available from several Amazon sellers – shipping rates/polices vary by seller.